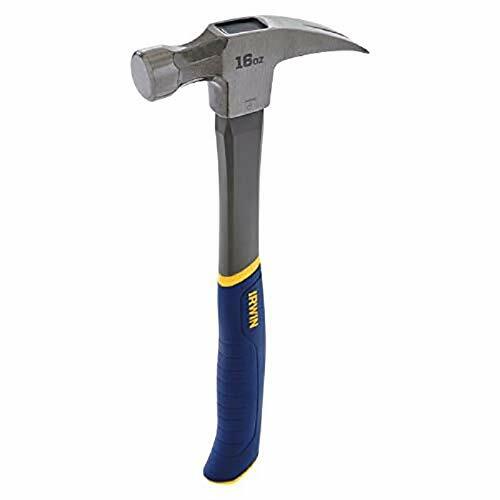 The IRWIN General Purpose Claw Hammer, Fiberglass, 16 oz., combines the strength of a solid forged steel head with the comfort of a custom designed Pro-Touch Grip to create one of the best hammers ever built. It features a smooth face to prevent surface marks and a rip claw for nail removal and prying applications. Its hybrid handle design offers a rounded grip for more comfort, a curved base to prevent slippage and a hardened end cap for maximum durability.